Happy Friday, everyone! I can't believe Thanksgiving is less than a week away. That means it is officially time to start listening to Christmas music, buying presents, putting up Christmas decor and taking part in all the fun festivities. Certain activities have become tradition / things I look forward to year after year. 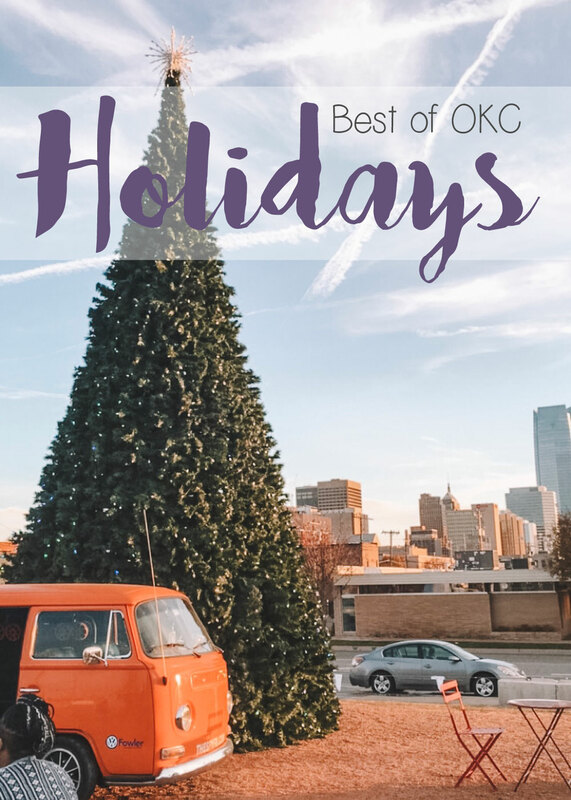 I thought for this month's Best of OKC post I would list off my favorite things to do in OKC during the holidays. For YEARS I've been all over the Downtown in December events. There is something magical about all the decor and Christmas cheer throughout the city! OKC really goes all out for the holidays and it is such a fun time to enjoy my little corner of the world. Below you will find the best holiday activities in town according to moi! This event takes place TOMORROW, Saturday, November 17, from 4-8 pm in Automobile Alley! It is the perfect time to get a head start on the holidays. All the local businesses will be participating with window displays, special discounts and activities for the whole family. There will be carriage rides, hot cocoa, a band, outdoor movies, a visit by Santa and more. This event officially kicks off the Christmas season and let's be real, isn't there something Hallmark Movie-esque about a tree lighting?! I love it! It takes place on Black Friday at 5 pm at the Chickasaw Bricktown Ballpark. I hear there will be food trucks, face painting, a band and even a visit from Santa himself! Automobile Alley, Film Row and Nichols Hills are my favorite places in town to look at lights! They are all different but equally as magical in their own way. If you are up for a drive, Yukon, Chickasha and Midwest City have drive through light displays, as well. As seen in the photo above! 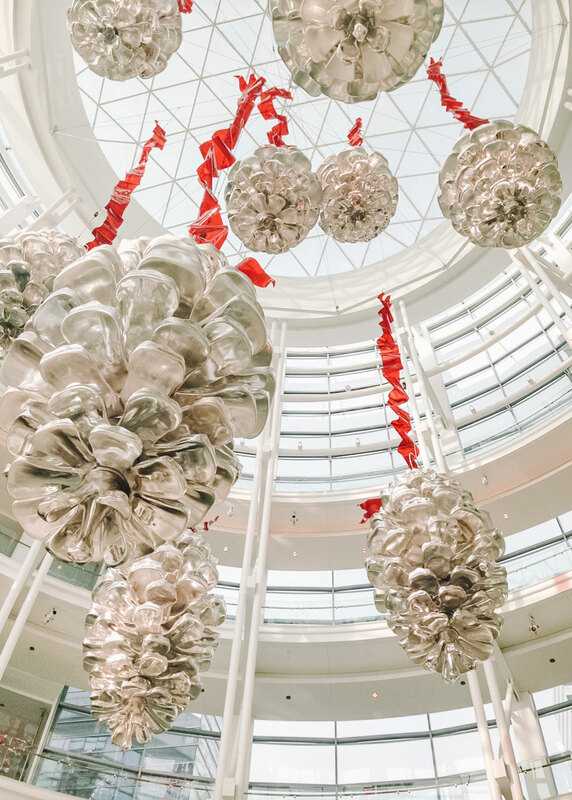 I love wandering through the bottom of the Devon Tower during the holidays and gazing up at the giant silver pinecones with shiny red ribbon! I've ran this 5k several times and it is always a blast....an arctic blast, maybe, but still a blast! LOL. They always have super fun Christmas themed t-shirts that I wear year after year and runners really go all out with holiday themed costumes. If you're lucky, Rumble the Bison might run with you! It takes place on December 8 this year. I LOVE visiting the Pop-Up shops in Midtown! All my favorite local boutiques and stores rotate through the little igloos on a weekly basis from Thanksgiving to Christmas. 50+ local Oklahoma stores will be there this year for the shop's 7th year in business! This is where I always buy my Christmas tree! Heads up, though, I heard they will be short on trees this year so buy yours early! There is always hot chocolate and beer trucks plus Bleu Garten is next door if you work up an appetite while shopping. Confession: I have yet to skate at the Devon Ice Rink but ONE DAY I WILL! I known without a doubt that it would be so fun and magical, especially under the Myriad Garden Christmas lights. This event is INSANE! There are sooooo many furry friends in attendance so be prepared to wait in line. It takes place at the Midtown Mutt's dog park on Saturday, December 1. Pups can even get their picture taken with Santa and enjoy puppuccinos! It's not a real tradition in my family [yet], but it seems like it should be! I have so many memories of watching Christmas plays and/or seeing the Nutcracker as a kid. It just feels right and a meaningful/memorable part of the holidays. OKC has several to choose from including Lyric's A Christmas Carol, OKC Ballet's The Nutcracker and OKC Philharmonic's The Christmas Show. 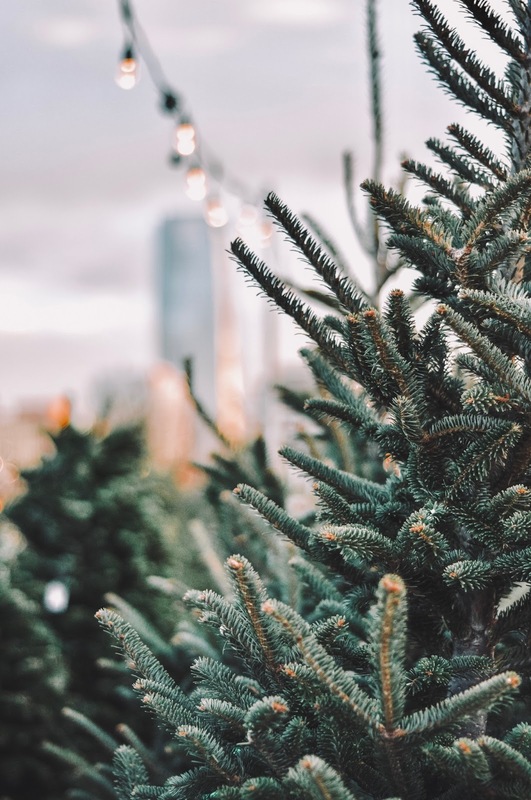 Those are just a few of the fun things going on in OKC this season - check out Downtown in December for an even bigger list and be sure to follow Visit OKC for ideas, inspo, and all things OKC this holiday season. I've never ridden the Bricktown Water Taxi but it sounds so magical and romantic to ride it under the canal lights! 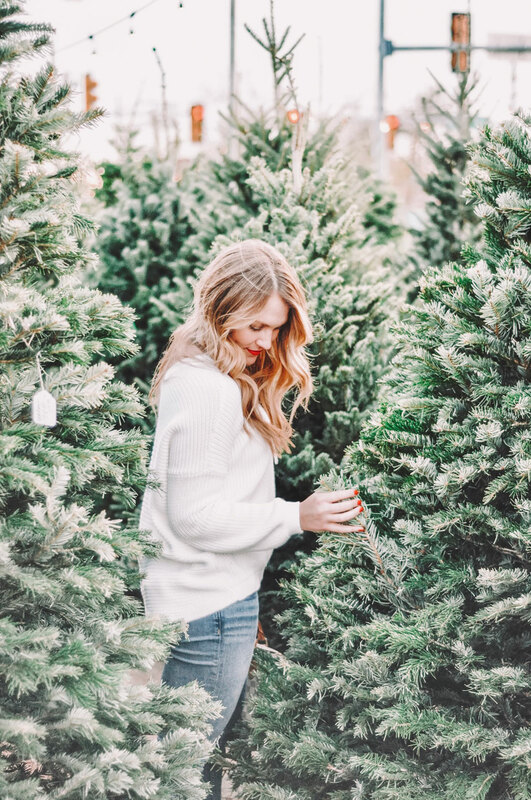 What are some of your favorite holiday activities and events where you live? I'd love to hear! I think it is so fun to visit other cities during the holidays and experience the magic of Christmas in a new way. If you're from Oklahoma City or close by, be sure to let me know what holiday activities you enjoy most. Thanks for reading, Happy Thanksgiving and Merry Christmas!